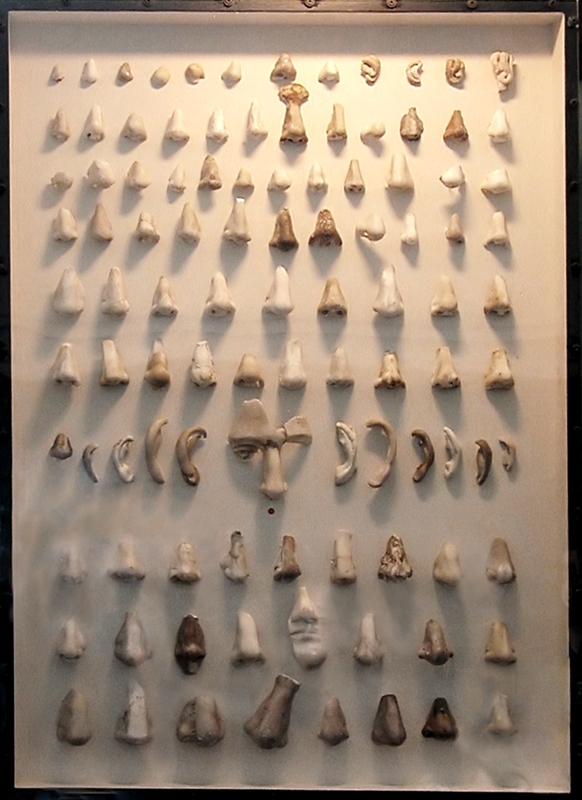 On display in Copenhagen, Denmark's Ny Carlsberg Glyptotek art museum is this glass display case filled with noses of myriad shapes and sizes. Why? According to curator Anne Marie Nielsen, noses on 19th century statues are notoriously fragile and would frequently break off. So the owners of the statues (or perhaps even prior museum curators) would replace them with marble or plaster replicas. Nowadays though, the museum removes any replacement noses because they only want to display the original sculptures, faults and all.